I told you to go to the bathroom before we came here! Swingers: You're doing it wrong! or Dogging... you're early! 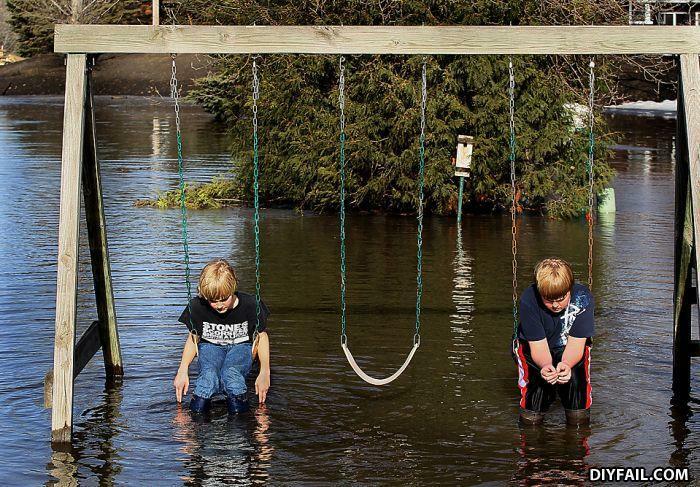 Honey, there was a "flash flooding." FLOOD!!!!! everyone get on the swiiiiiiiiiiiiings!!! Moments later they were eaten by an alligator with a good sense of rhythm. i cannot see tom either... why do we let him sit in the middle? why did the Chinese guy take steroids? He didn't he's naturally small.